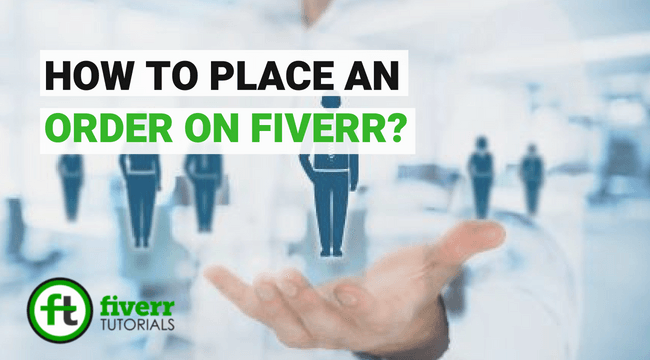 In this Fiverr Tutorial for the buyers, we’re will be sharing simple steps to place order on Fiverr. After you’ve decided the seller who is going to deal with your project, the only step remains is to place an order for him to get started. But how will you do that? Let’s see. 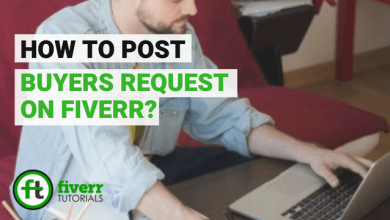 How to Order on Fiverr? 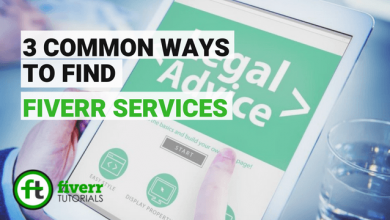 Before making a purchase, make sure you’re a registered Fiverr user i.e. have an account on Fiverr. 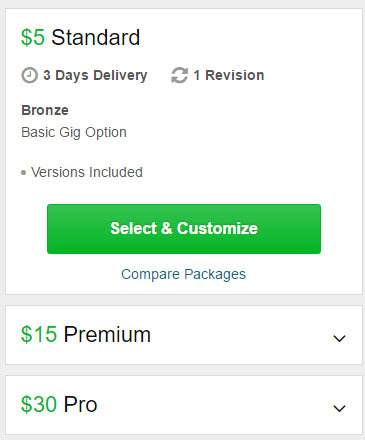 Otherwise, you will not be able to purchase or buy any service on Fiverr. If not, Learn to create a Fiverr account. After finding a service fitting best to your needs, just click on the Gig and try to read the Gig description and the packages carefully so that you have not disputed later. Remember: If you’ve any queries, it’s recommended that you first contact the seller. Move ahead by clicking on the “Proceed to Order” link. This page directs to another page where you can customize your order. It’s like including Gig extras to your order. Click the “add” button to add features in the order. Proceed to Order. 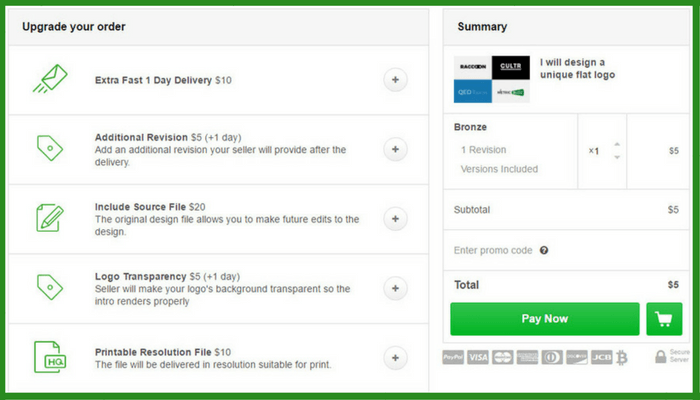 After defining the additional deliveries in the Gig, click on “Pay Now” button to choose the method of payments. In this step, you will select any of the payment method i.e. PayPal, Visa MasterCard, or bitcoin. After selecting a particular method, you’re required to fill in the further details of the selected payment methods. After getting done with the payment methods, proceed to further processing. Now, you’ve to provide all those stuff asked by the seller to start working on your project. 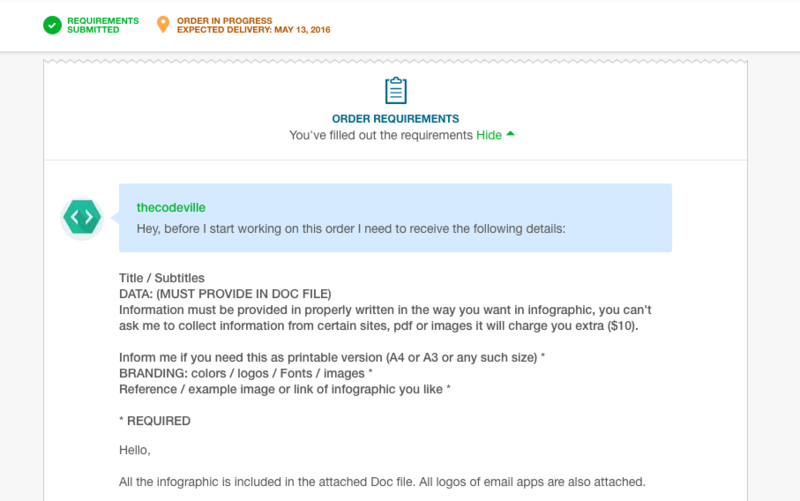 Give the required details as a free text or attach a file. Now you’re all done with the formalities. Let the seller work on your project. All the sellers try completing the tasks in time. Also, Fiverr keeps notifying you through emails if any updates received by the seller. Meanwhile, to check the status of your order, click on your profile picture at the right-top corner. Select “My orders” > Orders. There you can see how is the project going on. 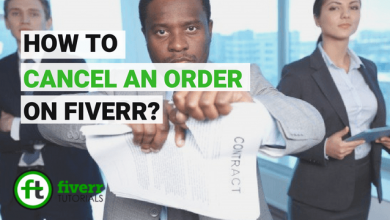 Don’t Forget: Your payment is owned by Fiverr until the order delivered by the seller is not accepted by you!